In this example, the PLOT statement uses a plot request of the type y-variable*x-variable to plot the variable HEIGHT against the variable WEIGHT. 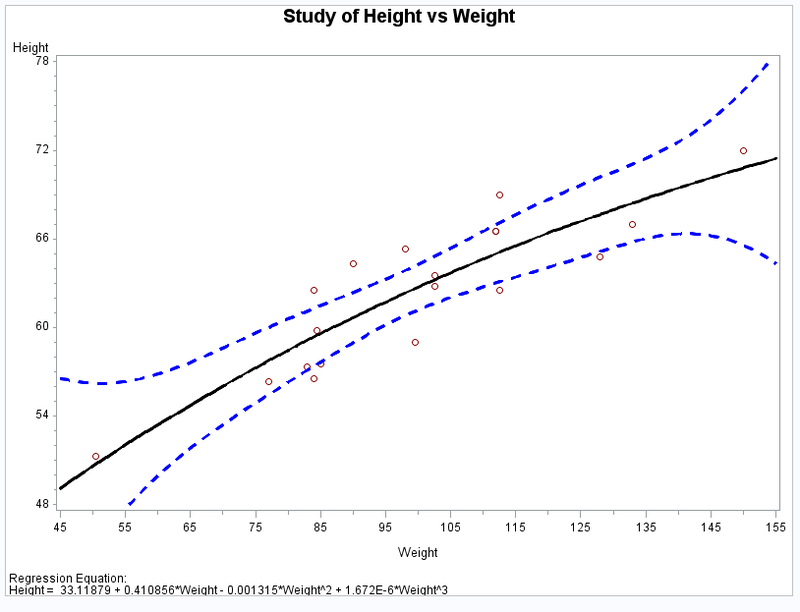 The plot shows that weight generally increases with size. The second example then requests the same plot with some modifications. As shown by the second output display, the second plot request specifies a regression analysis with confidence limits, and scales the range of values along the vertical and horizontal axes. It also displays the regression equation specified for the SYMBOL statement. Because the procedure supports RUN-group processing, you do not have to repeat the PROC GPLOT statement to generate the second plot. Generate a default scatter plot. Clear the footnotes to make room for the regression equation. Define symbol characteristics. The INTERPOL= option specifies a cubic regression analysis with confidence limits for mean predicted values. The VALUE=and CV= options specify a plot symbol and color. The CI=, CO=, and WIDTH= options specify colors and a thickness for the interpolation and confidence-limits lines. 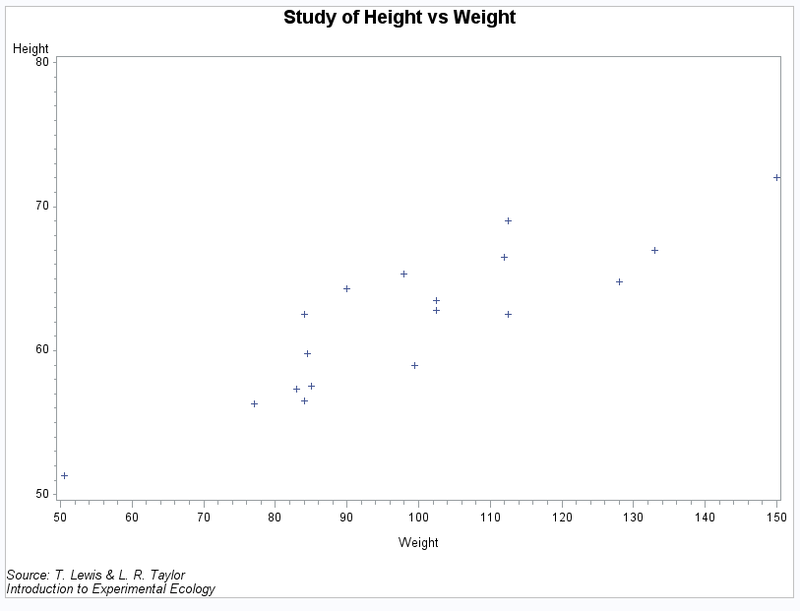 Generate scatter plot with regression line. The HAXIS= and VAXIS= options define the range of axes values. The HMINOR= option specifies one minor tick mark between major tick marks. The REGEQN option displays the regression equation specified on the SYMBOL1 statement.